XIV. 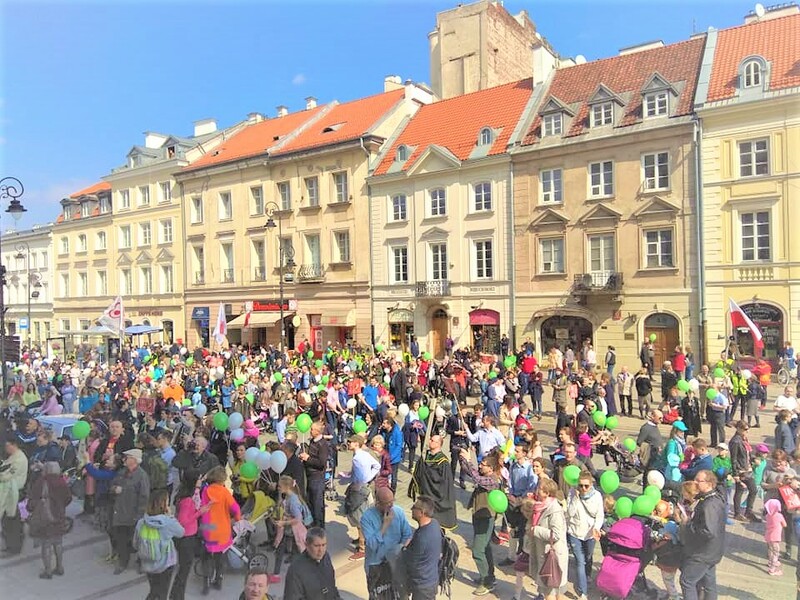 March of the Sanctity of Life passed through the streets of Warsaw with Thousands in attendance. Every life is holy because it is a gift to God. Every father is a gift, and when he is missing, raising children is "lame" - emphasized the Warsaw bishops: Cardinal Kazimierz Nycz and Bishop Romuald Kamiński stood before the crowd during the 14th March of the Holiness of Life, which took place on Sunday. This year's slogan pointed out the role of fatherhood in the family. The march of both Warsaw dioceses was preceded by Masses. Metropolitan of Warsaw Cardinal Kazimierz Nycz emphasized the importance to give witness, that every life is holy, because it is a gift of God. - There is no contradiction in the fact that we are experiencing this joyful march at the end of Lent. The fifth Sunday of Lent is the final part of our journey to the resurrection, to Easter, for which we are created. We are in Christ saved by hope and faith in what Christ did for us when he took up his cross and offered him a sacrifice of redemption for each of us, said the cardinal. Families with children and members of many communities and initiatives gathering fathers took part in the demonstration. Among them were representatives of such initiatives as Tato.net, Knights of Columbus, Knights of John Paul II or the Alliance of Warriors. Participants of the march held banners in their hands with the inscriptions: "Every conceived child has the right to life", "Children are great", "Every child a gift of heaven" or "Life is holy". In the parade, each participant was encouraged to chant the names of his parents. As every year during the March, the "Diaper for Baby" campaign was held, in which the residents of Warsaw were able to offer articles for infants for the Home of the Single Mother in Chyliczki run by the Archdiocese of Warsaw.